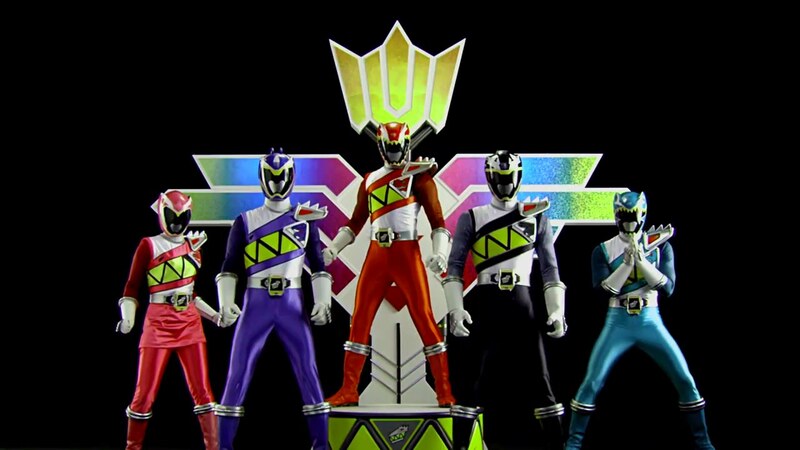 Recap: Power Rangers Dino Force Brave, King (Episode) 3 – "Gabugaburincho, We Are a Team!" Down in the Spirit Base, Hyunjun and Sechang are trying to train Pureun and Dohee. Hyunjun is trying to get Pureun to do 500 push-ups. Luckyuro is keeping count and Pureun, already exhausted, tries bribing him with chocolate. Sechang, meanwhile, tries to get Dohee to practice with the Gaburevolver. Instead of shooting at the target, she shoots at Sechang. Up in space, Juhyeok announces his arrival on the NeoDeboth ship by bravely taking on anyone who stands in his way in getting to meet with Deizarus. He introduces himself as a space mercenary and says he wants to make a deal regarding taking on the Dino Force. They hire him and he will use his legit skills to eliminate the Rangers. Deizarus sees a distinguishing mark on Juhyeok’s neck and agrees to negotiations. The four Rangers head to the mountains to where Juyong is training with Cannontyra. He takes his eyes off Cannontyra for a second and Cannontyra slaps Juyong with its tail, sending him flying towards the others. They are worried. But Juyong is fine though, much to the amazement of his new friends. Juyong says he likes this vibe. It makes it seem like they’re really a family now. He’s always wanted a family. He has an older brother, but they got separated when they were little. When hearing that he was really strong, Juyong decided to train to be as strong as him. Juyong says training alone is fun, but it’s always better with more people. Especially now that he’s unexpectedly gained four new siblings. He gives them all high fives, though the four aren’t too keen on being siblings with each other just yet. Up on the ship, Deizarus explains to Weihab and Tsuraira that he’s made a deal with Juhyeok only to further his goal of obtaining the power of the Dinosaur King. That will allow him to be the ruler of the universe. Tsuraira says they don’t need some mercenary’s help. He offers to go take care of the Dino Force Rangers himself. Weihab will come with. Hyunjun and Sechang are first to the stadium when Tsuraira and Weihab arrive. They morph and take the NeoDeboth on, but none of their attacks even leave a scratch. They both easily get thrown back. Pureun and Dohee arrive to help. 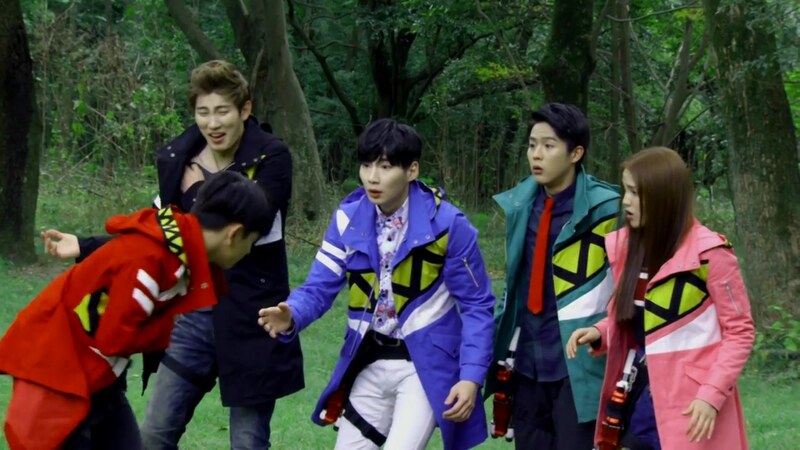 Pureun asks Hyunjun-hyung to use his super strength to throw him at Weihab who shoots a wave of water at him. Pureun uses Parasaizer Dino Cell to literally spice up Weihab’s mouth. Dohee asks to “borrow” Sechang’s shoulder which she uses to launch herself into the air. She then uses the Raptorax Dino Cell to use some taekwondo dancing to attack Tsuraira. Juyong arrives just in time to see his new siblings so in sync. They all happily agree that they are really starting to feel like a team now. Juyong morphs and the Rangers do a roll call before delivering a Dino Force Finish at Tsuraira and Weihab. The NeoDeboth summon a Sashinma and Giant Zorimas so they retreat to the ship. The Rangers hop into their Power Dinos and first form Brave Tyranno King Western with Juyong, Dohee and Pureun. They first take care of the Giant Zorimas before Stegotop and Forkcera combine with Cannontyra to form Brave Tyranno King. Hyunjun and Sechang join the others in the cockpit and together deliver a Dino Sword Brave Finish to take care of the Sashinma. Later, the new family has fun playing soccer in the park. 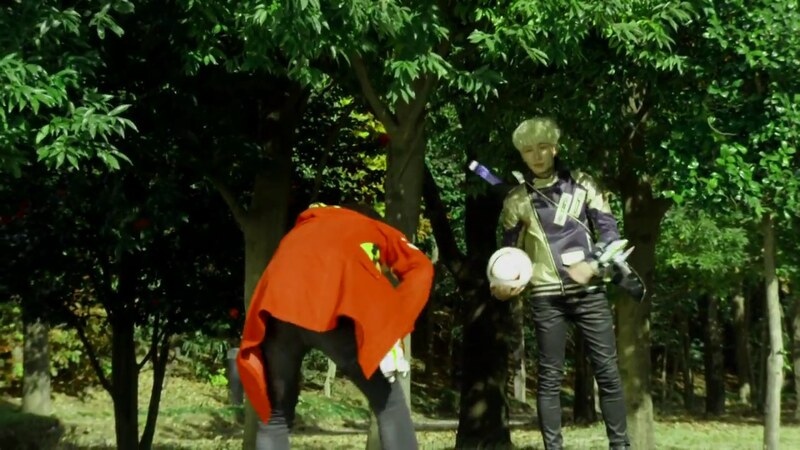 Juyong goes after the soccer ball which is picked up by the mysterious looking Juhyeok. He tosses it to Juyong, but when Juyong looks back up, Juhyeok is gone. Disappeared. I mentioned last week how the two episodes were short, but still full and complete. And also how it made half of the regular 22-minute toku episode feel unnecessary when you could tell a good story in half the time. But this week, I think this requisite teamwork story deserved a full 22 minutes. They left a lot on the table. This episode was still great. I enjoyed it a lot. But I feel like they could’ve done an excellent full episode of just Hyunjun/Sechang vs Dohee/Pureun and Juyong doing his best to get them all working together. Like a “family” as he said. And that’s another thing that totally could’ve helped fill this episode. Maybe add a minute to Juyong talking about family while relating the idea of it to his teammates. 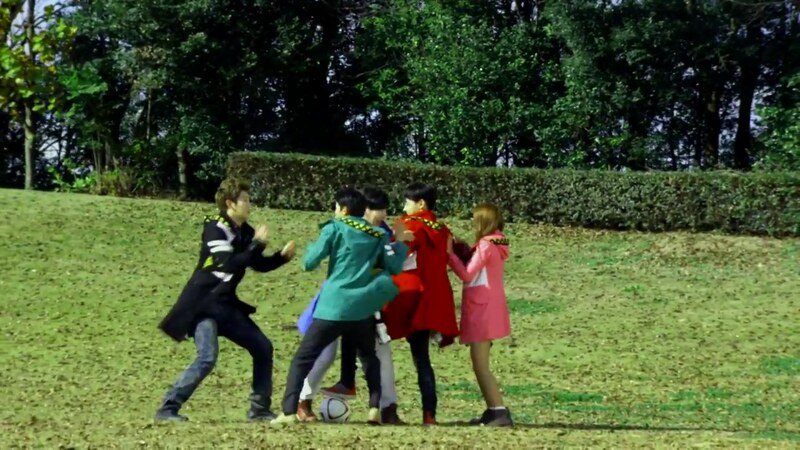 Also having the four Rangers do more to come to each other’s aid during that fight with the NeoDeboth which really felt too short. But Cross Gene’s Seyoung made an excellent first impression here. 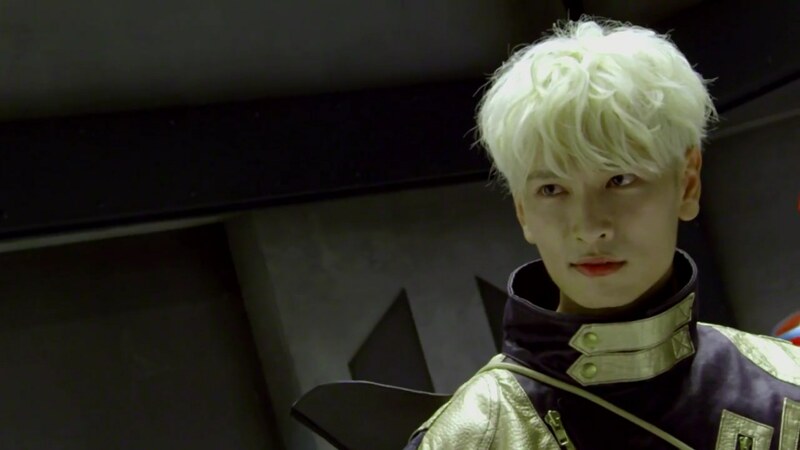 If you follow Cross Gene, then you may be familiar with Seyoung’s personality. Always smiling and laughing the most in the group. So for someone like me who’s familiar with his non-Power Rangers personality, seeing him all serious and threatening and badass is pretty awesome. He really was great. 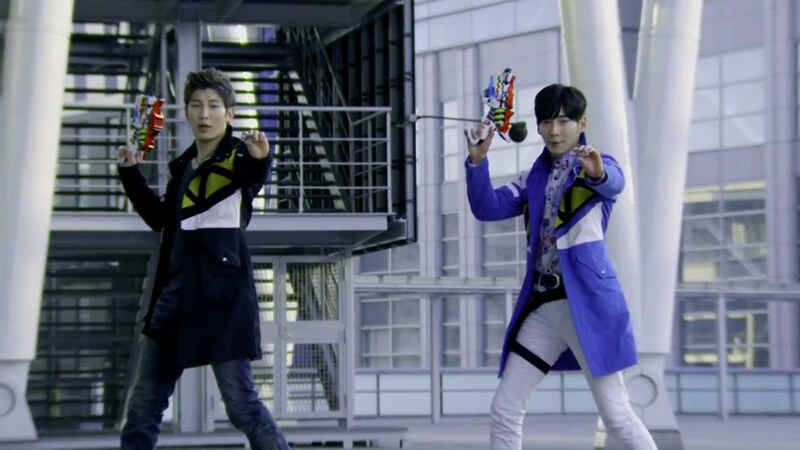 I’m not that familiar with the Apeace boys or Lee Yoojin’s personalities outside of Power Rangers. But with Injun, he’s also another smiling, happy guy in real life. But Pureun is definitely an exaggerated character. And not in a bad way. Just a very specific character. Meanwhile, Seyong and Juyong, personality-wise, are basically the same person, honestly. lol Seyong is always positive and happy. 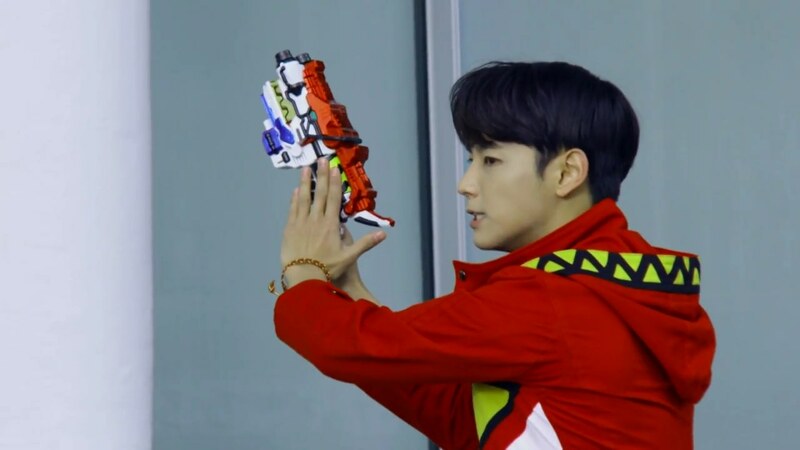 And in this episode more than the first two, I definitely saw MYNAME’s Kim Seyong more than a Kwon Juyong in the character. And that was fun. Overall, another enjoyable episode that I felt could’ve easily filled a full half-hour slot. But this is the format, so within that constraint, it still was a great episode. ← Recap: The Amazing Race 29, Episode 6 – "I always wanted to be a beautiful something."